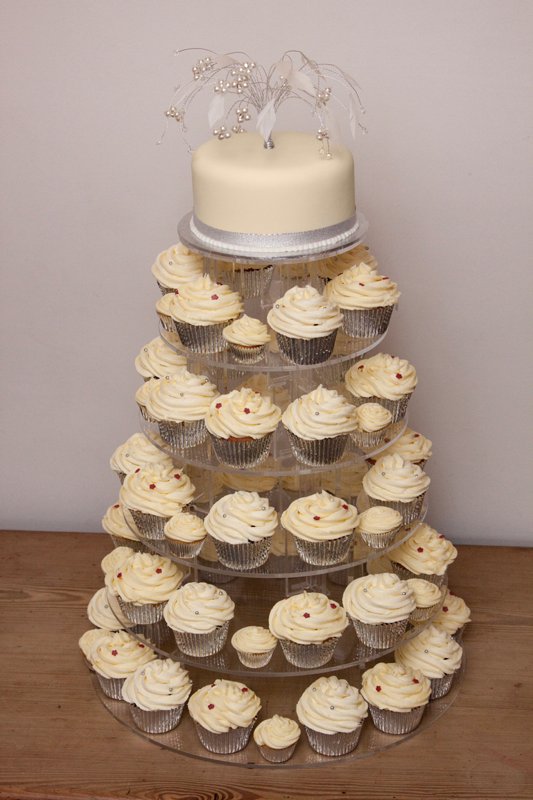 We all love a wedding and no wedding is complete without cake! 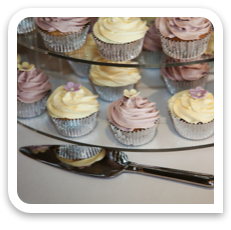 We can supply a stunning centrepiece using our standard or mini cupcakes in a variety of flavours to please all your wedding guests. 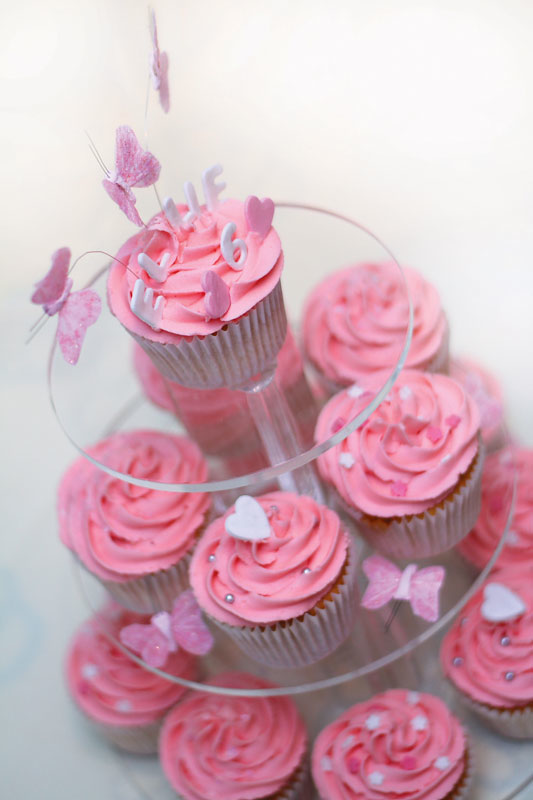 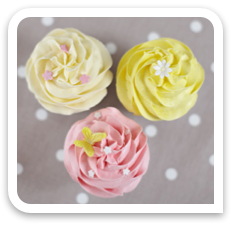 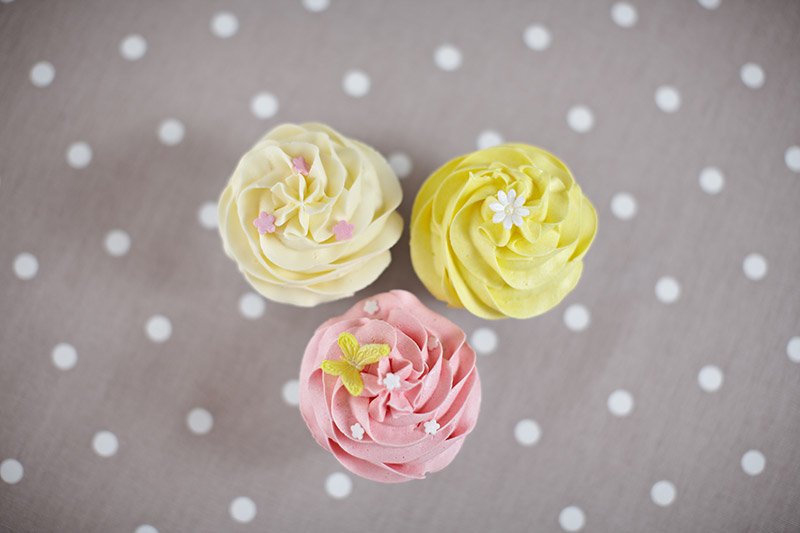 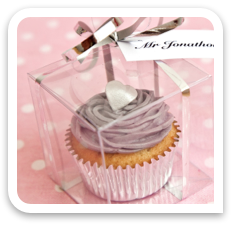 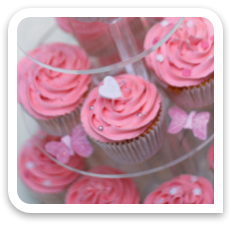 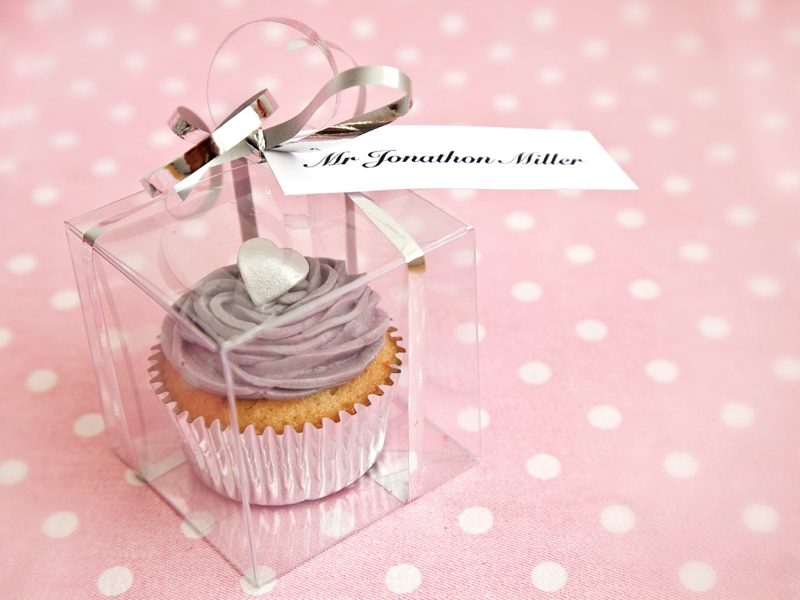 Our beautifully boxed cupcakes are perfect favours for any occasion, a real treat for your friends and family. 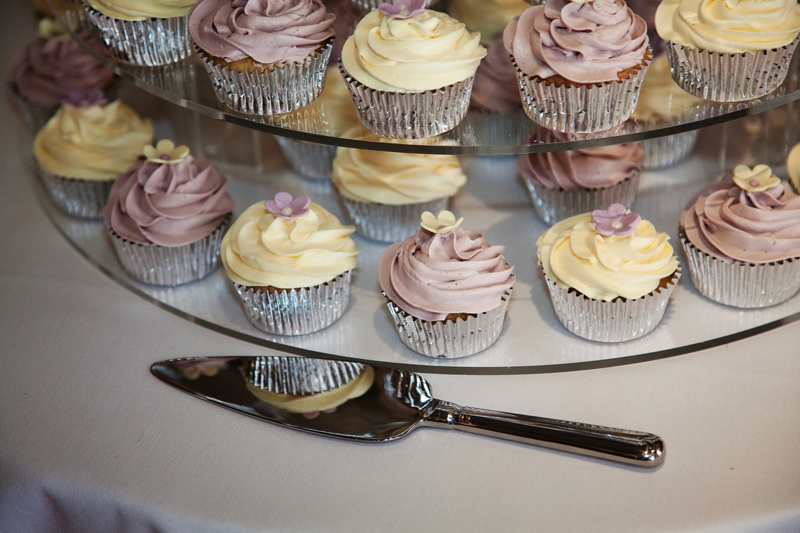 We strongly believe that a wedding is not a reason to charge extra and therefore our basic cupcake price remains the same whatever the occasion. 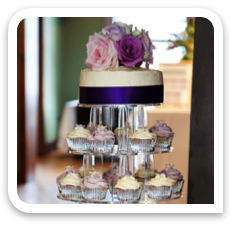 Your cake will be arranged free of charge and whilst there is a small charge for the stand and any floral or hand finishing, we are confident that you will be happy with our quote. 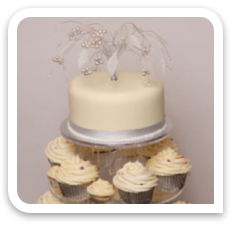 Please call for prices or to discuss ideas for your special day. 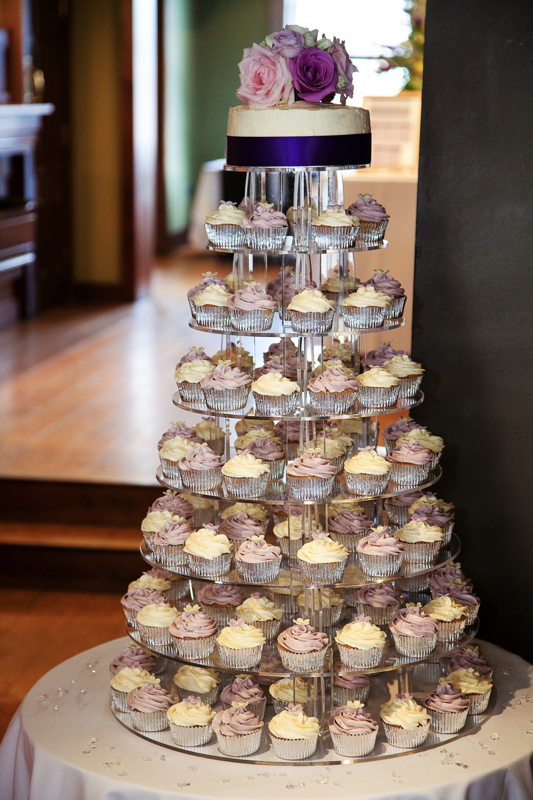 We also offer free consultations and cupcake tastings.